Long Beach High School students sparkled as runway models on April 23 during the 27th annual Morning Madness Fashion Show fundraiser. This event, organized by the Parent Teacher Student Association, supports the substance-free Morning Madness post-prom celebration. Morning Madness provides an opportunity for seniors to create memories in a safe and fun environment as they spend the final hours of prom night at Dave and Busters of Westbury. Every year, students look forward to entering raffles that have become known to provide extraordinary prizes. 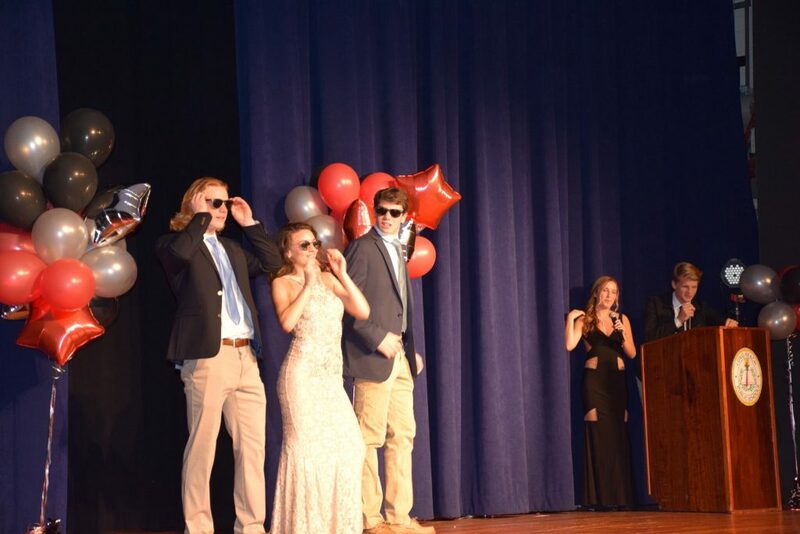 The fashion show was a great success thanks to the collaborative efforts of various classes, clubs, departments, volunteers and staff members in the district. Everything from fashion details to technological features and behind-the-scenes set-up was perfected to produce a formal, festive ambiance. Volunteers from the PTSA and Morning Madness Committee were instrumental in facilitating the evening. DollFace Cosmetics and Bonnie Stern from Mary Kay helped to get the students runway-ready, Maria Perrone worked with them on choreography and Adriane Glassberg served as model coordinator. Brixx and Barley and Bel Aire provided food for the students and balloons were donated by Once Upon a Party. Masters of ceremonies Jason Churchfield, Hanna Katz, Sammy Gibson and Jackie Gravina announced the models and described their attire. Gowns were provided courtesy of the Dessy Group of New York City as well as donations from past graduates.